May 25 Zebulon, Los Angeles, CA - Solo and duo with Clint Heidorn; premier of "Gestures," a film portrait of Connors by Vincent Guilbert. 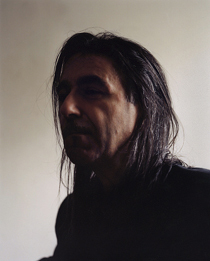 Loren Connors has improvised and composed original guitar music for over four decades. His music embraces the aesthetics of blues, Irish airs, blues-based rock and other genres while letting go of rigid forms. Connors, who names abstract expressionist painter Mark Rothko his most important influence, also works with pencil, toner, computer software and other techniques to create evocative prints that arise from the aesthetics of music.